This entry was posted in inspiration, MindBodySpirt, Uncategorized and tagged Belief, Health, Healthy, healthy-living, Inspiration, Law of Attraction, Love Your Way Slim Coaching Program, mental-health, Mind Body Spirit, New Year Resolution, Positive Thoughts, Spirituality, Thoughts, Weight Loss, wellness by Goss Coaching. Bookmark the permalink. I want to do that routine when I’m in my 80s! In May, just before my 30th birthday, I learned and completed a USAG Level 5 floor routine–tumbling skills and all! The things people told me were, “Don’t hurt yourself,” “You’re not as young as you think you are,” and “You’re not as strong/flexible/nimble as you used to be.” I did it anyway, despite a weak right ankle, a sore back, and stomach muscles that still haven’t totally recovered from childbirth. And it was fun! Gymnastics is more or less out of system now, but it’s still nice to believe and to know that I can do it! Woo hoo! I want to congratulate you for having all those negative thoughts being thrown at you–and still being able to move forward and do it! That is a huge accomplishment! Congratulations! Thanks so much for sharing. What are you doing now to keep you physical momentum going? Hula dancing. In fact, my halau (school) was recently extended an invitation to dance at the Merrie Monarch Festival in 2014! It’s pretty amazing how following one pleasurable pursuit leads to a bevy of other incredible opportunities! Woo hoo! That is so true! Love the example you are setting to have fun! Moving your body should be fun! Thanks so much for sharing! 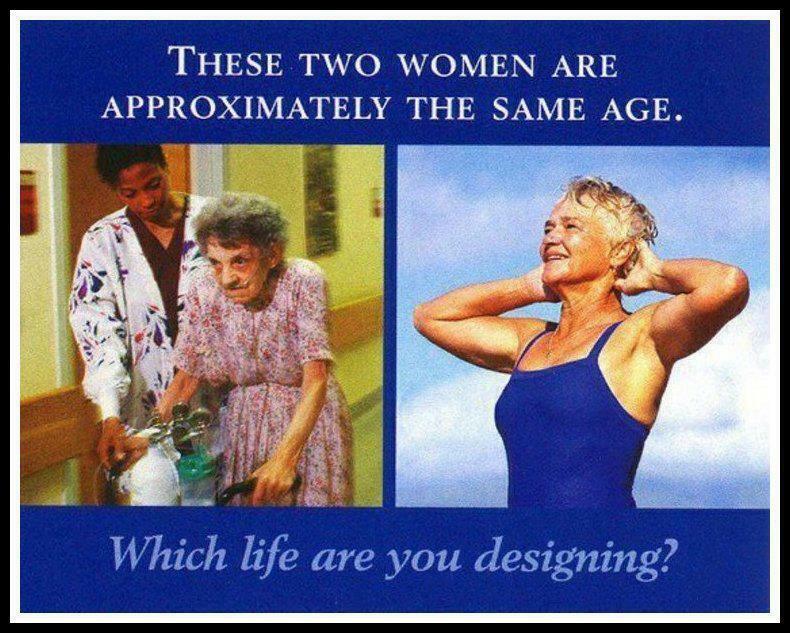 I’ll add the lady on the right as one of my role models!! Love it, Joyce! So appreciate you! Especially that first picture…stunning and motivating! So glad you found it helpful. Thanks so much for commenting! Appreciate you! omg I LOVE this post! Thank you. That first image is startling and so motivating. I might have to put that one on my bulletin board. . . . So glad it resonated with you! Thanks for commenting!